As part of the Scale-up Programme, SETsquared hosts the second of a series of Investor Breakfast Events on 13th February in Mayfair, London. The Investor Breakfast Briefings are a great opportunity to meet some of the Scale-Ups looking to raise investment, to get to know the teams and to make deals happen. We will give updates on the programme and want to get your thoughts on what type of companies you are looking for and how we can bring you good deal flow. 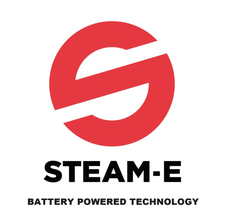 Steam-e has developed and patented a cordless steam cleaner to revolutionise the commercial cleaning sector. Faster and more effective than current alternatives, it’s also chemical free – completely sanitising touch surfaces, improving user-productivity and ensuring cleaner and safer public environments. Bioinduction aims to solve one of the biggest healthcare challenges in the world: Managing hypertension, stroke and neurodegenerative disorders, particularly Alzheimer’s disease (AD), vascular dementia and Parkinson’s disease (PD), using neuromodulation therapies and making neurostimulation as mainstream as cardiac pacemakers. 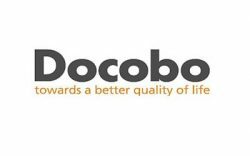 Docobo Ltd is a UK medical device company that supplies eHealth solutions to enable Community Care and improve the quality of life of patients, carers and clinicians. More than 40 Trusts in the UK and several international healthcare organisations are currently using doc@HOME Telehealth to support many thousands of patients. TISICS has developed unique metal composite and additive manufacture technologies to produce light-weight, high performance structures for the global space and aerospace markets. TISICS now have the opportunity to industrialise customer solutions into volume production to meet demand for the rapidly growing space sector and accelerate adoption into a much larger aerospace market need to meet CO2 reductions for air travel. Zeetta Networks is addressing the need of network operators to deliver application-aware, differentiated connectivity services within their networks, and to provide guaranteed connection quality and speed on demand to meet the ever-changing dynamics of the data traffic. Please note you'll be asked to log-in with the following details: name.surname so please make sure there are no typos when registering. Failing to enter the appropriate credentials will result in declining you access to the platform. Further details regarding the logistics will be provided closer to the time.